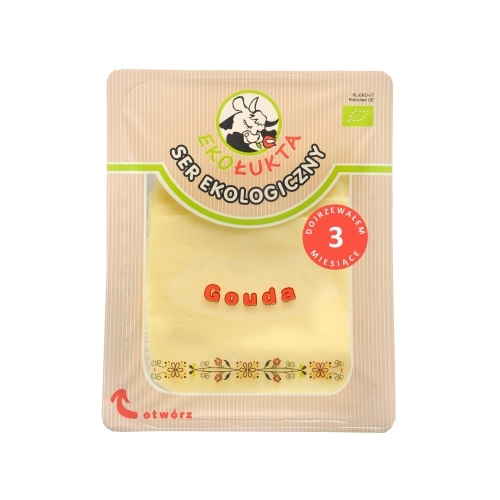 Eco Gouda Cheese ripening for 3 months! Appropriate bacterial strains give a unique taste of cheese, and the selected raw material and traditional production method guarantee high nutritional value, richness of minerals and vitamins. Ingredients: milk* pasteurized, salt, natural rennet, cultures of lactic acid bacteria, stabilizing substance: calcium chloride.